Another week, another round of Crypto Tidbits. The movement in the value of Bitcoin (BTC) has slowed, with volume and volatility falling across the board, but underlying industry developments were absolutely monumental. Bitcoin SV Delisted On An Array Of Exchanges: Over the past two or three weeks, a whole hubbub has erupted about Craig Wright and his claim that he is Bitcoin creator Satoshi Nakamoto. Wright claims that he is, as others have rebuked him. The debate reached a point where Wright, Calvin Ayre, and the rest of their camp, all supporters of Bitcoin Satoshi’s Vision (BSV), sent legal letters to an array of industry leaders: podcaster Peter McCormack, Lightning Network proponent Hodlonaut, and Ethereum’s Vitalik Buterin. And with that, the community fought back, urging exchanges listing BSV to delist the asset. Eventually, Binance agreed, as did ShapeShift, Blockchain.com, and Kraken, leading to a collapse in the price of the cryptocurrency. The total crypto market cap is positioned for more gains above the $180.0B resistance. EOS price is consolidating gains near $5.50 and it could surge above $5.60. Binance Coin (BNB) rallied above the $22.00 and $25.00 resistance levels. Bitcoin cash price is back above the $300 support area, with a positive angle. Tron (TRX) price is struggling to break the $0.0265 and $0.0268 resistance levels. The crypto market cap setting up for a new monthly high, with strong gains in binance coin (BNB). Bitcoin (BTC), Ethereum (ETH), bitcoin cash, tron (TRX), ripple, litecoin and EOS remains supported on dips. The past few hours were positive since bitcoin cash price found support near the $292 level against the US Dollar. The BCH/USD pair climbed back above the $300 support level and it is currently trading with a positive bias. On the upside, a break above the $305 and $310 resistance levels is must for more gains above the $320 level. On the downside, the main support is at $292 and $290, below which the price could move back in a bearish zone in the near term. EOS price climbed above the $5.50 level, but it struggled to gain momentum and it is currently consolidating in a tight range. On the upside, a break above the $5.55 level is needed for more upsides above the $5.60 resistance area. On the downside, the price could test the $5.42 support level. Tron price faced a strong barrier near the $0.0265 and $0.0268 resistance levels. TRX price recently corrected lower and tested the $0.0262 level. The next key support is at $0.0260, where buyers are likely to emerge in the coming sessions. 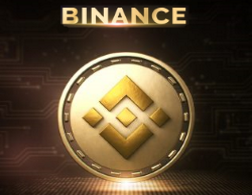 Binance coin (BNB) extended gains above the $20.00 and $22.00 resistance levels. BNB price is up more than 6% and it is currently consolidating near the $25.00 level. There could be a short term downside correction, but the $24.00 and $23.60 levels are likely to act as supports. On the upside, the bulls might target a new all-time high above the $30.00 level. Looking at the total cryptocurrency market cap hourly chart, there was a steady rise above the $162.00B level. The market cap broke the $168.0B and $170.0B resistance levels. The main resistance is at $180.0B, above which there could be a sharp rally towards the $195.0B level. On the downside, there is a key bullish trend line in place with support near the $169.0B level. 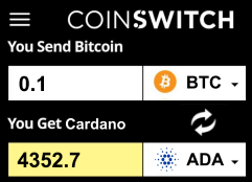 Therefore, if there is a downside correction, dips remain supported in bitcoin, ether, TRX, LTC, EOS, ripple, ADA, XLM, WAN, BCH, XMR and other altcoins in the near term. 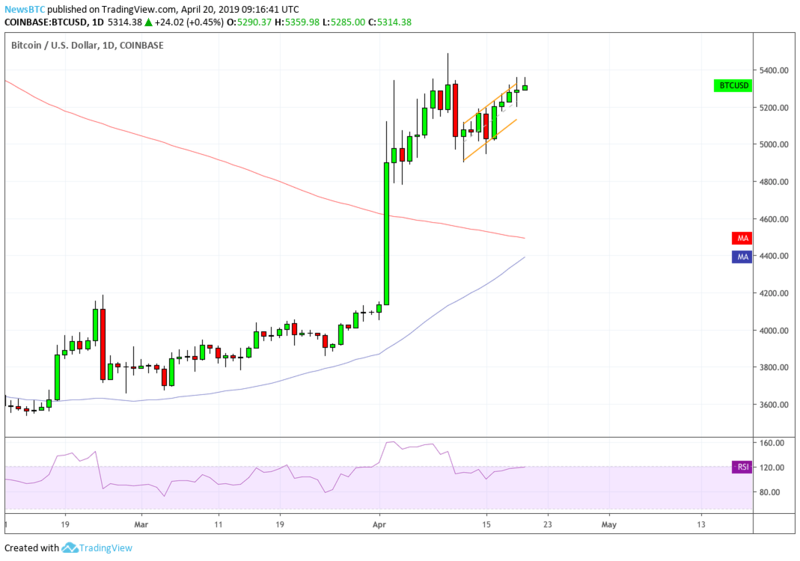 The post Crypto Market Targets Fresh Highs: BNB Eyes $30, Bitcoin Cash, EOS, Tron Analysis appeared first on NewsBTC. The well-known digital asset exchange Bibox has embarked on a mission to expand the blockchain ecosystem. As a part of its initiative, the Estonia based company has announced the launch of Bibox Orbit, set to go live on April 22, 10:00 (GMT +8). Bibox Orbit is a token launch platform that is designed to enable the community to get involved in high quality decentralized projects, encouraging their development and deployment. The Bibox Orbit program has already short-listed 4 projects which exhibit a huge potential. The projects, handpicked from hundreds of applications received for the program includes: The Force Protocol, Ludos, STAKING and the X-Block. 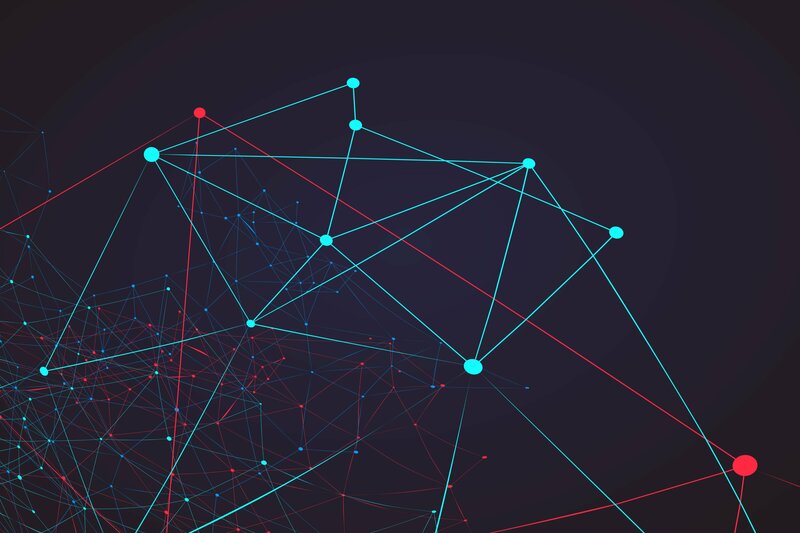 These projects make up for the first phase of implementation and in the near future, the platform will continue listing new DLT projects capable of meeting various real-world requirements of multiple industry segments. Once the Bibox Orbit program is launched, users on the platform can start purchasing tokens for the 4 listed projects. In order to participate users will have to ensure that they have BIX tokens on the Bibox platforms, as it is the only accepted payment method during this first phase. The BIX token holders should also complete their KYC before participating in the Bibox Orbit program. The pre-purchase starts at 10:00 (GMT +8) on April 22 and go on till 17:00 (GMT +8) of the same day. The drawing time is set for 20:00 (GMT +8) on April 22, 2019. Here is a brief overview of the 4 projects chosen to be part of the inaugural Bibox Orbit program. The Force Protocol: A Singapore-based open source blockchain platform, the Force Protocol offers cryptofinance solutions for the benefit of global asset lending market. Developers using the Force Protocol can implement smart contracts, shared trading book, automatic brokers among others to solve the real-world problems revolving around the traditional lending market. Ludos is a Singapore-based gaming public chain platform with multi-sidechain and cross-chain technology that allows gamers to manage and trade their gaming assets. Ludos helps developers and game studios to crowdfund development, allowing them to issue game assets and benefit from the operation toolbox offered by the platform. STAKING: The third shortlisted platform for Bibox Orbit, STAKING is a decentralized asset management platform with a sophisticated system infrastructure that allows investors to stake their assets without worrying about any security concerns. The platform ecosystem is comprised of PoS mining pool and infrastructure for Decentralized Finance (DeFi) market, that aims to reform the finance industry by combining Edge Computing, Trusted Computing and Blockchain technology. STAKING is known to offer annual yields ranging from 5% to 155% to its investors. X-Block, the global decentralized fog supercomputing network based on blockchain 4.0 addresses the increasing need for processing power. Unlike conventional cloud computing solutions, X-Block fog computing enables access enterprises to access more service resources at a fraction of cost. The platform’s IX tokens use win-win cooperation between the computing resource receiver and resource provider to finally achieve a virtuous cycle of the whole blockchain ecology. The participation process on the Bibox Orbit is simplified to a great extent and those BIX token holders who plan to participate in the process will have to just follow a handful of instructions to buy into any or all the four listed projects. While there is no minimum barrier of entry, the platform has set a total maximum participation cap of $5000 across all projects. Once the Bibox Orbit goes live at 10:00 AM (GMT +8) on April 22, participants meeting the eligibility criteria should transfer BIX to the event page according to the pre-purchase amount and personal pre-purchase limits. Participants can independently allocate the maximum individual purchase amount among the four projects, such that the total allocation doesn’t exceed the maximum of $5000. At the drawing time – 20:00 (GMT +8), each project will be drawn according to the total amount of the user’s application and the actual amount of the project. The highest actual amount an individual can get is $800. The tokens pre-purchased by the users will be released to the user accounts before the launch of the projects on Bibox. Any BIX corresponding to unsuccessful purchase will be refunded to the users’ accounts within one business day. The winning rate between different projects may vary due to the difference between actual sales volumes and user applications. In a same project, higher the amount pre-purchased, higher will be the probability of the winning draw. The post Bibox Announces Bibox Orbit, Offers Opportunity to Buy into Four Blockchain Projects appeared first on NewsBTC. Crypto exchange Binance has launched its custom blockchain solution Binance Chain on April 18. But the move might threaten to burn a hole in Ethereum’s pocket. Telegram-based market analysis and trading log, the Gem Club, said Thursday that new cryptocurrency projects had no benefit while choosing the Ethereum blockchain over Binance Chain. The analyst noted the new custom chain could replace Ethereum when it comes to listing projects and issuing their tokens. The prediction came in the wake of BNB’s impressive performance over the last year. The seventh-largest cryptocurrency posted more than 80 percent returns for its investors over the previous 365 days. 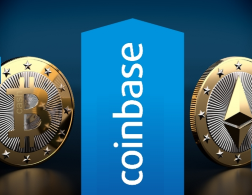 It became the only crypto-asset that retested its historical high while other top coins remained far from achieving similar mettle. BNB’s deflationary supply model further helped it become the most attractive investment before both near- and long-term investors. BNB is the only crypto to hit its all time high today. As of this Friday, BNB’s total return on investment was a whopping 9,000 percent since launch. Binance has announced that it would execute its mainnet swap on April 23. The event would prompt BNB holders to exchange their Ethereum-based ERC20 balances for a revamped, native Binance Chain-based BEP2 ones. The migration would see a large section of ERC20-enabled BNB holders move their base to BEP2-enabled wallets, including everybody from individuals to full-fledged projects. And those that want to remain back with the Ethereum blockchain will send their BNB balances to ERC2o standard wallets. Decentralized social media platform Mithil is the first blockchain project to have lured itself towards Binance Chain. The startup earlier issued its MITH tokens on the Ethereum blockchain but found better prospects in Binance Chain, which comes with a full-fledged decentralized exchange. The move enabled Binance to add MITH/BNB and MITH/USDT pairs on its trading platform. MITH’s addition to the Binance exchange helped the token surge 25.75 percent in just 24 hours, indicating that investors believed the migration was a bullish move in the short-term. Following Mithril, Atomic Wallet too decided to switch from Ethereum from Binance Chain. And now, rumors of ENJIN Coin thinking about migrating to Binance Chain are making rounds on the social media. Enjin CEO Maxim Blagov said earlier in an ask-me-anything that their next significant feature had something to do with Binance Chain. The fact that big projects are leaving Ethereum for Binance Chain could put prompt the former to face interim losses. But, at the same time, it is essential to understand that Binance Chain does not come with a smart contract feature, which means projects seeking the decentralized contract settlement technology would any day prefer to stay with Ethereum. The post Binance Chain Could Send Ethereum Price Back to Double-Digits: Analyst appeared first on NewsBTC. The entire bitcoin trading community is holding its breath for a crucial bullish signal known as the Golden Cross. It started on April 2 when the bitcoin price – at last – broke above a stringent resistance area and surged 23 percent in a day. This upside swing changed the market’s entire dynamics. Almost all the technical indicators that were screaming bearish turned bullish overnight. Buying sentiment returned. Selling sentiment decreased. But most importantly, bitcoin managed to sustain its gains even though it did not extend it. Profit extension is now what the bitcoin trading community seeks — many waits for big whales to purchase bitcoins at recent higher lows so the price surges and strengthens the bullish sentiment further. But wait — we were talking about the Golden Cross. The red curve in the chart above is bitcoin’s moving average calculated over 200 days. Similarly, the blue one below reflects 50 days. The near-term moving average tends to rise faster than the long-term when market notes enormous interim buying volume. As a result, the 50-days moving average crosses above the 200-days one. That is what defines a Golden Cross. The history of the financial market shows that investors love the golden cross. For instance, the Dow Jones industrial average experienced the phenomenon on April 26, 2016, after four years. What ensued was a steady upside swing in which the DJI surged from 18,080 points in April 2016 to 26,743.50 points in September 2018. But wait, there is another story. The statistics prove that the Golden Cross indicator worked for any market but the Gold. It should particularly interest the investors who believe bitcoin is some “digital gold.” Of course, the cryptocurrency’s underlying market dynamics are strikingly similar to that of the yellow metal. They both are durable, scarce, and have properties similar to commodity assets. So it would be safe to assume that the bitcoin market is more likely to behave like the Gold market. Well, the Golden Cross does not work for Gold as much as it works for the S&P 500, DJI and Nasdaq. So, as a risk measure, we bitcoin traders should not entirely depend on the Golden Cross. Fewer losses can also mean more gains, after all. The post Dear Bitcoin Traders, Golden Cross is Not Always a Bullish Signal appeared first on NewsBTC.